Winner of The Zhodani Base's Best ATU Product Award for 2018! I'm finding a small issue with character generation in this game compared to original Traveller (although not necessarily with the original Cepheus, which I haven't played). The dice throws required to progress in a career are pretty steep. In original Traveller, you could get as much as +3 from the right characteristic scores. In this game, you'll be very lucky to get +1 with +0 being much more likely and -1 being a real possibility (it never was in Traveller). It struck me as quite jarring whilst creating my first five characters, none of whom survived the process; checking out before their third term. Is this something you've encountered or considered? Here's a quick example of enlisting in the army; in both systems the required throw is 5+. In Traveller if you have STR 5+ and DEX +6 you get +3 to the throw (+1 and +2 respectively), it's automatic for many candidates. in Cepheus Light you get +1 with END 9+ and +2 if you have a 12. If you had an END of 5 you'd suffer a -1 penalty....See more Oh boy, I'm getting drafted. Of course, when it comes to the Survival throw those numbers become much, much more important. I'm curious about the striking divergence and its perils from the source. The system is one inherited from the Mongoose SRD, upon which the Cepheus Engine is based. Indeed, the +DMs are smaller than in Classic Traveller, where sometimes you get DM+3 if you meet two requirements. This indeed makes things tougher than in Classic Traveller. Indeed, in a later revision, I may lower these numbers. Not having a POD option is the only thing holding me back from buying this title, but I really like what I see. The stuff Zozer, Michael Brown and yourself are doing are really pushing the Cepheus engine forward. We do have a PoD through Lulu. Currently Letter-sized, but soon Digest-sized as well. +1 this looks like it hacks out most of the irritations around you-know which game and its immediate offspring, especially bonkers level of detail for computers and software, though I'd love to see more abstracted rules for trading. Once it's in digest sized hardcopy I'll buy it. Purchased! I'm going to have fun with this. After taking a closer look, I REALLY like this rule set. It definitely clears a lot of detritus from the original CE and adds the best elements of MgT2. The Combat rules contain everything essential. The only thing missing are animals and non-space encounter rules, but those can easily be adapted from other rules systems. If you are looking for a fast, compact version of the 2D6 SF rules, you should really give this ruleset a closer look. And while it is "pay what you want" it is definitely worth the recommended $ 10,-. 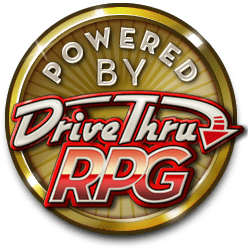 And, from a personal POV it fits perfectly with my GDW RPG Apps, so you can use all of them without having to do any rule bending. I see there's a revision of the game available. Any major changes? No, only minor errata corrections and minor layout changes. Plans for a hard copy book? Potentially so. We're definitely considering this option. We're now working on this! Stay tuned! Silly question about Cepheus Light : do you plan to make a specific character sheet or can we use the Cepheus Engine classic character sheet ? Indeed, we will eventually publish a specific Cepheus Light character sheet. How is this different from the Cepheus SRD? The rules are simpler and significantly streamlined, particularly character generation, personal and vehicle combat, and starship combat. We playtested and checked every rule so there are changes in other areas as well to suit new players and fast play (including one-off and convention play). There are also extensive examples of rules use, unlike the SRD. That sounds really good if you could keep the compatibility too. I will check it out, thanks!